Cory Monteith is dead. That's what I woke up to yesterday and it's still just sinking in. Cory is was one of my favorite Glee guys and it's just so unbelievable that he has passed away. What is it with these famous guys and being dead in hotel rooms? Despite all the crazy fun that Glee is, this show suddenly feels very morose to me. Last week, I finished reading Attachments. Rainbow Rowell is my new Sophie Kinsella. Attachments was so much fun to read that I'm looking forward to reading her next, Eleanor and Park. Even though the book dragged occasionally, on the whole, it was splendid. 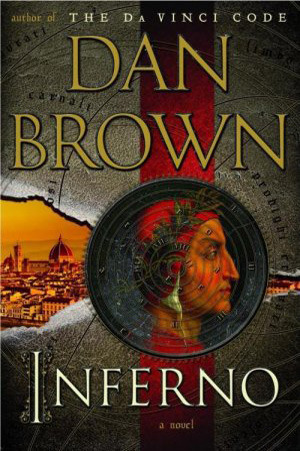 I started reading Dan Brown's Inferno couple of days ago, but didn't make much progress with it yet. I'm pretty sure that when things start picking up, it will be hard to put it down. I also started listening to In the Garden of Beasts by Erik Larson, and so far, it is very engaging. I just picked Reconstructing Amelia from the library last week and after everything I've heard about this book, I'm excited about starting it next. 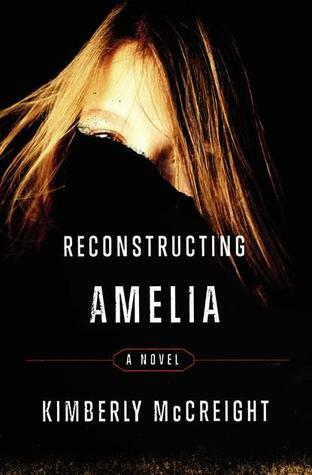 This year's summer must-read list is plenty amazing - Reconstructing Amelia is one I've been seeing often. I'm looking forward to reading a few others too, especially The Shining Girls. I loved Eleanor and Park and now I want to read Attachments. Oh, I've been curious about Reconstructing Amelia, too - looking forward to seeing what you think! I am so excited by all the rave reviews that Eleanor and Park received. I can't wait to read it. I hope to start that next week. It should be pretty good, I hope. I want to read Attachments. I have Eleanor & Park on my upcoming TBR pile. My book discussion group will be talking about it at the end of the month. I was really sad to hear about Cory Monteith. He was my favorite character from Glee too. You have so many good books coming up. I thought In the Garden of Beasts was fantastic. And Eleanor & Park? SWOON. I loved E&P - you will, too! I need to read Attachments asap!! As for the Brown book, I enjoyed it, but it wasn't as great as his other Langdon books. I've been wanting to read the Amelia book, too. So, I'm looking forward to your thoughts on it. And, I know what you mean - I feel kind of blue because of the whole Cory Monteith news. How sad! I couldn't believe it when I was reading about it. Definitely a shock. I just picked up Amelia too! I read an article about Glee the other day and how they might proceed with the season given that Monteith died and many of the episodes centered around him. Many say they will push the season back so that Lea can mourn since she was his in real life girlfriend. I never watched the show faithfully but I've seen enough to know how sad this loss is. Just started The Best of Youth and am really liking it. I'm really sad about Cory Monteith too. I watched Glee less this season, but he was always one of my favorites on the show. It's really sad. I have Attachments which was sent to me months ago, and is still unread...sigh. But, I hear wonderful things about it and her next book. I'll have to open it up one day. I've read other books by Dan Brown since being completely absorbed in DaVinci Code, yet none have seemed to live up to the power of the first one. i wonder if you'll like Inferno; I'm anxious to know. As to The Garden of Beasts, there again I preferred his first book Devil in The White City. Aren't I the hard one to please today? !